The hottest fall trend in shoes is leather shooties. Whether you dress them up or down, leather ankle boots are sure to look great with any outfit you decide to wear. A cross between a boot and a shoe, shooties are the hottest trend for fall. 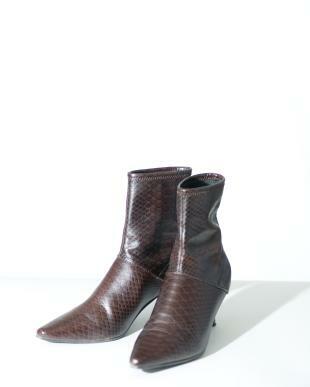 Not your typical leather boot, leather shooties add style and fashion to any ensemble. Booties are flattering to the ankles and are perfect when you don't need a full boot. They can be worn throughout the year and work well season after season. The Nine West Markeson cuffed leather ankle boot. It can be found on Amazon.com. It has a cuff along the top of the bootie and a side zipper for easy entry. It is available in black leather. Aerosoles has several styles of leather shooties to choose from. The Pop Piz black leather ankle boot has a unique back zipper and elegantly tapered toe. It has a soft lining and an extra cushioned foot bed on a two-and-one-quarter inch stacked leather heel. The ECCO Bern leather bootie comes in full-grain black leather with a fold over cuff and lacing at the back. The leather and textile lining provides added cushioning and ensures breathable wear. It can be found at Zappos.com. For a luxurious leather shootie, check out Alexander McQueen's leather ankle bootie with grommet studs. It is the ultimate in luxury and comfort. The Prada shootie is available at Neiman Marcus. For a change from the basic black boot, try the Lucky Brand Bergyn bootie in gray or the Via Spiga Charlie Helsey boot in tan. Both are sold at DSW. Saks Fifth Avenue sells the Valentino leather ankle booties. They are a textured leather pull-on with elasticized sides and have a small stacked heel. Kenneth Cole Reaction's Loop Hole's ankle bootie is available in tan leather. It has side slit details with a faux leather lining and a man-made sole. Kenneth Cole also features the black leather Kent Way bootie. It has stretch sides, inside zip closure, a leather lining and a rubber sole. Just like with any other leather product, your leather shooties need to be cared for properly in order for them to last long and always look their best. Before wearing your leather ankle boots, treat them with a water repellent product like silicone spray. After wearing always clean them and make sure they are free from dirt and debris. A good leather cleaner works well. Remember to store your leather shooties in a dry place to keep them looking their best. Moisture and heat can cause cause mildew to grow on the leather.